This week Marty & The Arrogant Observer get together to talk about The NFL, Trump's tweet about LeBron James & Don Lemon, & MoviePass. 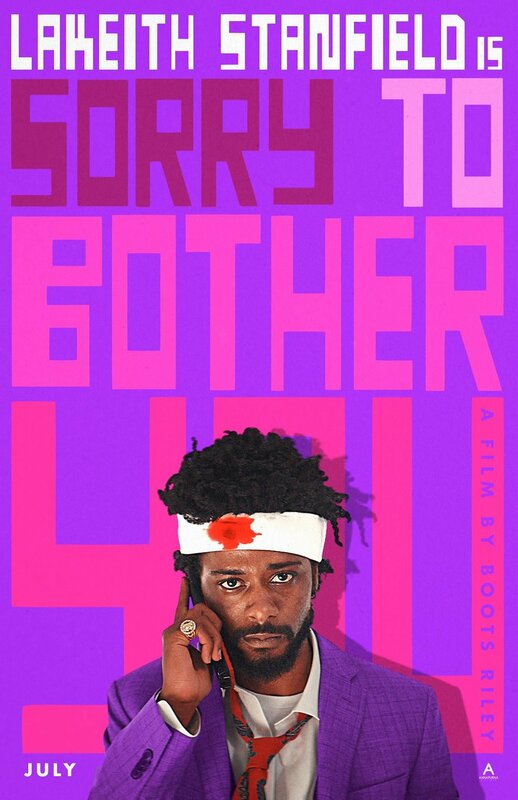 Marty & The Arrogant Observer get together to talk about the new film Sorry To Bother You. This week Marty & The Arrogant Observer talk about the 48hour film festival happening in New Orleans this weekend, Trump in Russia, an answer to "The 6 Degrees of Black Panther Challenge" to the FlyWithBats Podcast, & a little DC breakdown. Marty, The Arrogant Observer, & Martin "Bats" Bradford finish up the show with recommendations, the f-u list and s/o's. This week in part 1 of 3 Marty and The Arrogant Observer are joined by MisterBats(from The FlyWithBats Podcast) to talk about the "Superfly" remake. We talk AMC's counter to MoviePass and Jeff Sessions policy. This week Marty and The Arrogant Observer discuss the Tony Awards and believe it or not but there is a Spongebob Squarepants musical and you know how Marty feels about musicals. They also review the recent film "Hotel Artemis" in a new Marty section called MoviePass W/ Marty. Be sure to check out Arrogant Observer's blog and be sure to follow us on instagram. This week Marty and The Arrogant Observer continue the 6 Degrees Of Black Panther challenge w/ TheFlyWithBats Podcast, discuss June being pride month, & Barry Jenkins' new show. This week Marty and The Arrogant Observer discuss Roseanne getting canceled, Samantha Bee of Full Frontal makes an apology, and stop drinking hot subway Pepsi from strangers. Marty & The Admiral are back this weekend to finish off the long awaited review of the Netflix original series Love, eps. 4-6. This week Marty & The Arrogant Observer discuss the movement on R. Kelly, brief Atlanta talk, and Kanye West. This week Marty is sick, Arrogant Observer is A Big Easy Award winner(and will be referred to from this moment on as such), and they manage to get some news in there. This week Marty is joined by Martin 'Bats' Bradford from the FlyWithBats podcast to discuss 420 and 420 memories, with a special guest appearance by our very own FatGirlNola, J.Steel. This week Marty and The Arrogant get together to try and throw a challenge to the flywithbats podcast, talk Mike the Killer, and minor Drake talk.